I'm going to be having a small scale breading set up and I've done alot of research on topic before making the decision. The one thing I'm lacking information on is shipping the reptile. My dad thinks it's a bad idea to even try shipping because of where we live and the danger of shipping a live reptile. 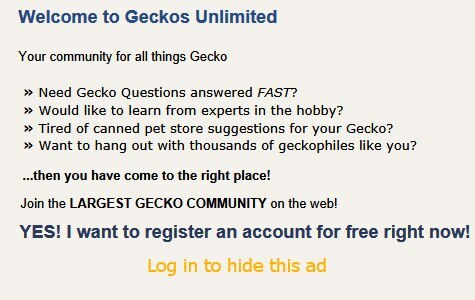 I'd like to hear your take on it and if you have any experience with shipping out your geckos. Thank you in advance! Have you checked any of the previous threads in the shipping forum? There's lots of info about shipping, worth taking the time to read. Thank you I just took a look at the link you left it was very helpful!